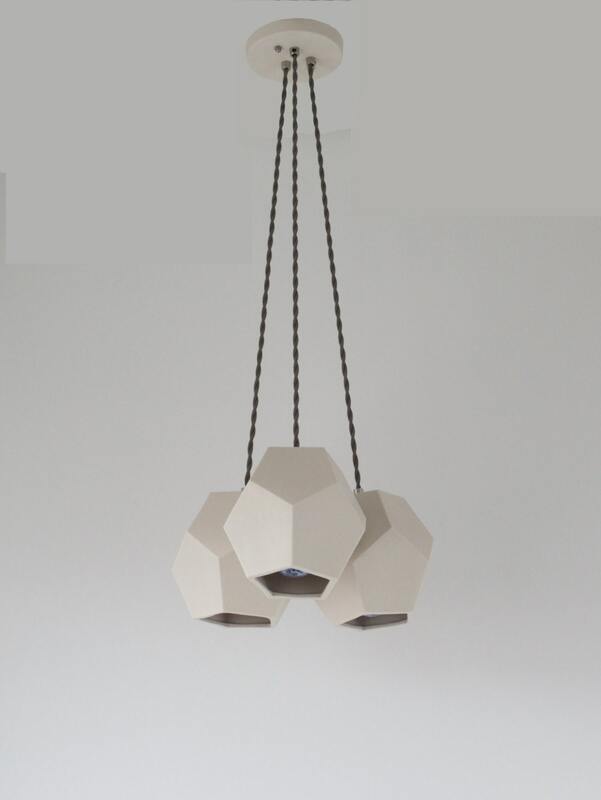 Translucent white porcelain gives this three socket, hexagonal chandelier a subtle modern flair. 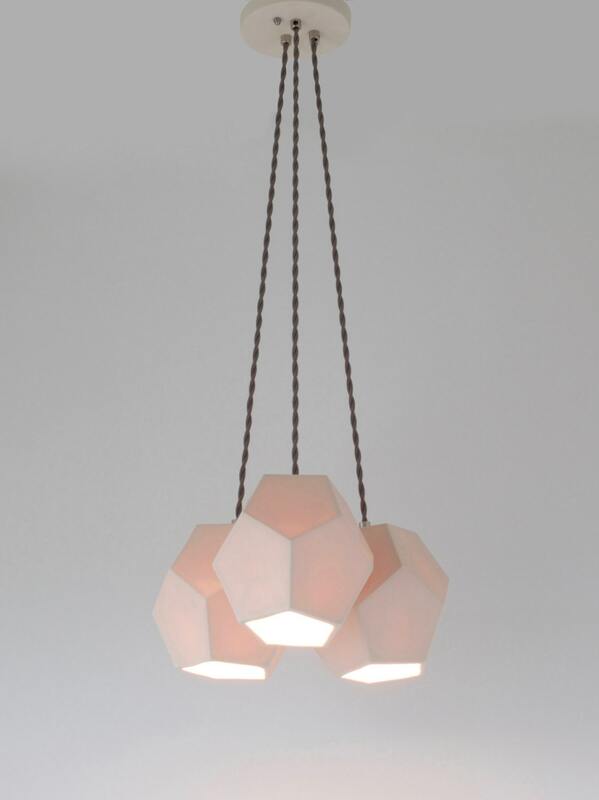 Composed of individual handmade hexagons, this functional piece gives off plenty of light and style, ideal for over a kitchen table, island, or stairwell. Looking just as good off as it does on, each modular piece is attached with a steel gray cloth cord and chrome accents to a handmade porcelain canopy. Hangs a max of 32'' from ceiling. We are happy to accommodate longer lengths. Please message us if you need a longer cord. All of our lights are fabricated using UL Listed parts.